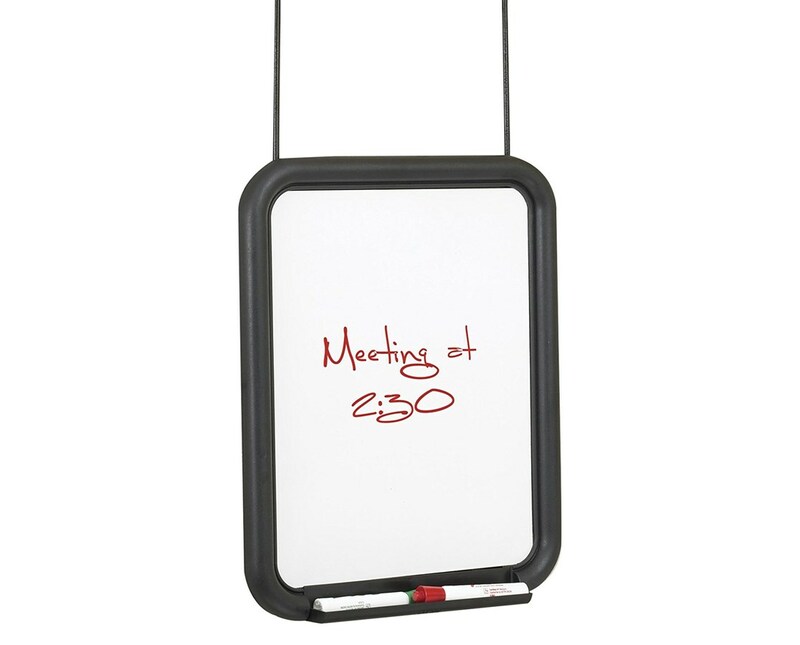 Mounting height adjusts up to 18"
The Safco PanelMate Dry-Erase Markerboard is a personal dry-erase board that makes it easy to keep track of tasks, projects, meetings, etc. 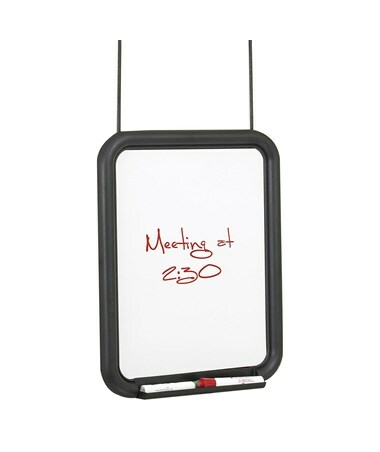 It features an 11 inches wide and 14 inches high surface with a built-in tray to hold dry-erase markers. It can also fit panels up to 3.25 inches thick. It has a universal mounting system with a mounting height that adjusts up to 18 inches from the top of the panel. 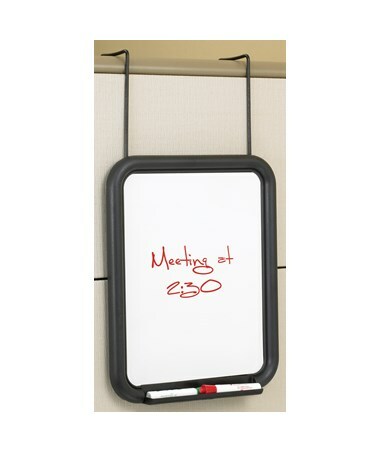 This board is made of welded steel and melamine laminate with an epoxy finish. It is GREENGUARD certified for low chemical emissions and comes in a pack of six units.